The Xbox One gamepad might be the best feature of Microsoft’s current console. Its comfortable triggers, easy-to-reach analog sticks, and, most importantly, energy-efficient design allow you to play games for weeks on end without having to swap out your batteries. But eventually, your controller is going to die, and you’re going to have to replace those AAs if you want to continue gaming. 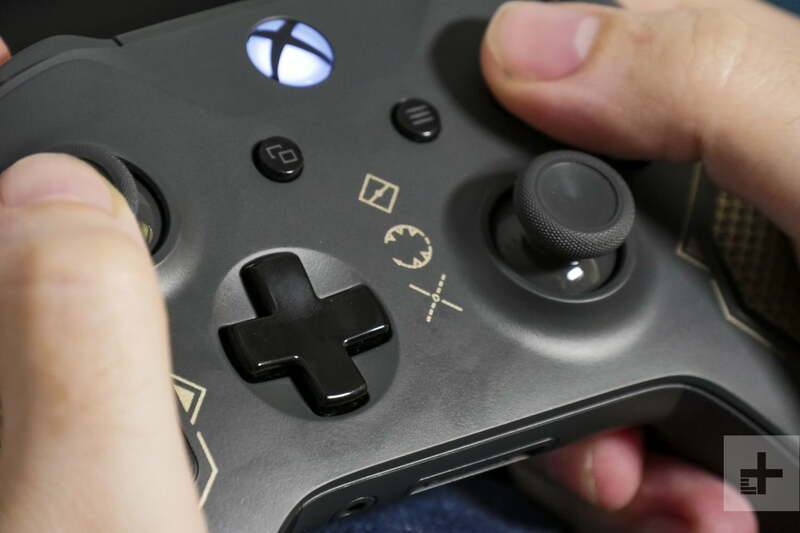 Here are some tips to get the most out of your Xbox One controller batteries, and how you can even keep playing without using batteries at all. Unlike the PlayStation 4’s DualShock 4 and the Switch’s Pro controller, the Xbox One doesn’t use an internal battery. By default, it requires standard AA batteries. You can use any type or brand, including higher-capacity Alkaline batteries, but the most cost-effective and environmentally friendly choice is a rechargeable Nickel-Metal Hydride (NiMH) battery. They are less toxic when you do eventually throw them away, and, unlike older Nickel Cadmium batteries, they don’t develop “battery memory.” You can purchase an Energizer 1-Hour Charger with four rechargeable batteries for $35, and with space for all four in the charger, one pair can always be ready to go when the other is drained. If you’re looking to spend a little less money, a basic charger is also available, which can charge your batteries in 7 to 13 hours, but the included batteries in this set are only 1300mAh — Energizer’s NH15-2300 give you nearly twice the capacity, and are compatible with the same chargers. Microsoft sells a rechargeable battery pack made especially for the Xbox One, the Xbox One Play and Charge Kit, which replaces your AA batteries with a lithium-ion battery pack, which you charge using a micro-USB cable. Connecting the cable to your console also allows you to connect the controller without syncing it wirelessly. The charge pack’s lithium-ion battery can get up to 30 hours of battery life, and charges in four hours. That’s fine, but it’s nothing compared to what you can get with other rechargeable batteries. The Play and Charge Kit’s battery is only 1400mAh — just slightly above the PlayStation 4’s pack — while AA Alkaline batteries can go all the way up to 3000mAh. While it sounds nice, using a charging cable instead of replacing batteries isn’t as great as it sounds. Unless you want to charge the battery exclusively through the Xbox One, you need another charging block with a USB port. And, of course, the battery pack will be completely useless for anything other than your Xbox One controller. Third-party charging stations can eliminate the need for another charger, but its battery still isn’t up to snuff. At only 1100mAh, it holds a smaller capacity than even the cheapest AAA batteries, and it will take you more than two hours to completely charge your pack. If you’ve somehow managed to drain or destroy all of your AA batteries, you still don’t have to stop playing your Xbox One. An Xbox One wireless controller can be converted into a wired controller by connecting it to your console with any micro-USB cable. Unlike the Xbox 360, which would only charge wireless controllers over a connection, connecting the controller in this manner on the Xbox One actually allows data to transmit over the wired connection. While wired, the controller does not need batteries to run, and will not drain any batteries in the controller. If you have the Play and Charge kit, the battery will charge. In addition to being a great battery-saving option for those living in smaller areas, it’s also a better way to play games that rely on extremely fast reflexes, such as fighting games or Dark Souls III. You’ll see slightly reduced input lag, and when you’re facing off against an opponent in Injustice 2 or Dragon Ball FighterZ, every millisecond counts. With a certain setting adjustment, the PlayStation 4’s DualShock 4 controller can stay on indefinitely, even if you’ve left the console idle for hours on end. The Xbox One’s controller, on the other hand, automatically turns off after 15 minutes of inactivity in order to preserve battery life. There isn’t a way to change this setting, which can be a little annoying if you’re watching Netflix and don’t have a Kinect or microphone hooked up for voice commands, but the controller only takes a few seconds to reconnect after hitting the home button. If you’re using multiple controllers and you need to check battery levels, go back to the home screen of your Xbox One and hit the home button for each controller. The different battery levels will display, and you’ll be able to see which are connected via USB and/or are charging.